Phase 1 of the Eagles’ next step is done: Chip Kelly has assembled his complete coaching and front office staff. Many have complained of “Oregon Bias” (especially in Kelly’s player selections) or “New Hampshire Bias” (with his recent choice of Ryan Day — Kelly’s first great QB — as the Eagles’ quarterbacks coach). 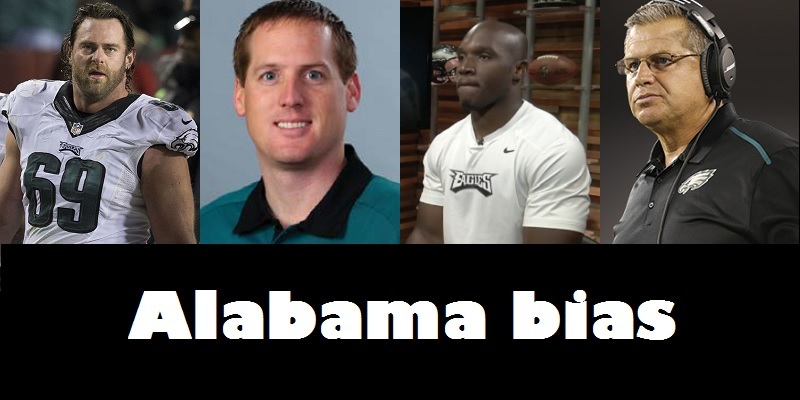 Now we have a new accusation — “Alabama Bias.” Kelly has never coached for or against the Crimson Tide, and he inherited the only two Alabama players on the Eagles roster (Evan Mathis and DeMeco Ryans). But he immediately hired Alabama’s Jeff Stoutland as his offensive line coach after coming to Philadelphia. Stoutland’s ‘Bama front line was so strong that it made Trent Richardson look good. And since my last column, Kelly has remade the Eagles’ front office with two former Alabama personnel guys, starting with 30-year-old wunderkind Ed Marynowitz, who has worked for the Eagles for years. Despite his youth, Marynowitz was Alabama’s head of recruiting from 2008 to 2011 and met many of the NFL’s personnel staff during that stretch. He apparently impressed them, too; no one seems to have a bad word to say about him. And yes, he’s a “football guy” — Marynowitz was a star quarterback for LaSalle, a Philadelphia-area college where he still holds many passing records. Marynowitz is not replacing Howie Roseman as general manager. His title is vice president of player personnel, allowing Roseman to keep as big a role in contracts and renegotiations as owner Jeffery Lurie thinks wise. Marynowitz reportedly clashed with Roseman, and this shakeup implies that Kelly’s move to take control over personnel was really about getting the Eagles’ existing “football guys” back in charge of player selection, and giving this impressive young talent room to grow. 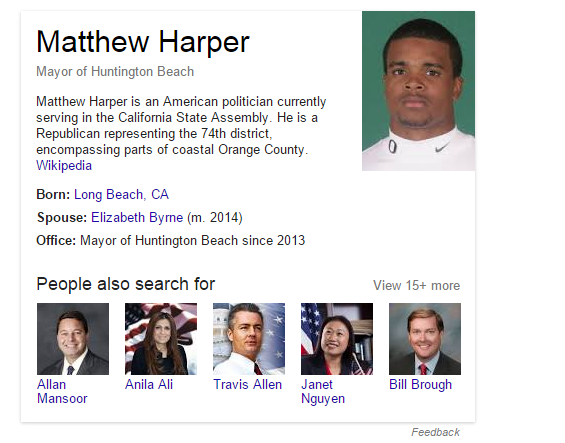 Marynowitz looks like a good fit for Chip. The other ‘Bama boy is Joe Pannunzio, the Tide’s director of football operations. The Eagles have not announced this yet, but multiple sources including the Tuscaloosa News report that Pannunzio will work for Marynowitz in the personnel department. His biggest personnel coup came when he worked for Miami as the tight ends/ST coordinator, and he convinced a basketball player that he should try out for tight end. That player’s name was Jimmy Graham. There’s a darker side to that Miami connection, though, as Tommy Lawlor noted. Miami was wracked by a huge recruiting scandal that revolved around a booster-turned-whistleblower named Nevin Shapiro, who named Pannunzio as one of the coaches who helped him out. Jeff Stoutland and Joe Pannunzio coached together at Miami before joining Marynowitz at Alabama. “I know what goes on in this program and I know that we do things correctly,” Saban said. “We do have people in this organization, who worked there (at Miami). Before those people were ever hired here we do an NCAA check to make sure they pass all compliance criteria and that they don’t have any red flags relative to compliance history. Kelly finalized the rest of the coaching staff, too, and made some hires that might keep Oregon Bias competitive with the new-fangled Alabama variety. As mentioned before, the Eagles cleaned house among defensive back coaches, which only makes sense. Bradley Fletcher and Cary Williams are tall, strong cornerbacks who generally stayed with receivers, but never could figure out how or when to turn their heads around to play the ball on long passes. This resulted in a lot of penalties as well as deep completions, and the coaches should’ve been able to improve it. Nor could they figure out how to position the safeties to cover the CB’s weaknesses. Kelly replaced Harper with former Ducks linebacker Michael Clay. He’s been serving as a Defensive Quality Control Assistant, the entry-level coaching position that involves a lot of videotape study. Finally, Clay was replaced by Stephen Thomas, Princeton’s inside linebacker coach for the last three years. Thomas is a former college DB with a degree in chemical and biological engineering. So the talking jobs are filled, and now it’s time to speculate on players. Nothing can happen until February 10, when Canadian Football League players whose contracts expire become fair game. The NFL Scouting Combine is February 17-23. Free agency begins on March 7, and trading opens on the tenth. Spring practices (OTAs) begin April 20, and the draft doesn’t start until April 30. Before all that craziness (and the season of 9,000 mock drafts) begins, you should read the level-headed perspective of Tommy Lawlor. In a nutshell, he’s saying that the Eagles don’t NEED to draft a defensive back, as woeful as that unit is. Hopefully they won’t be drafting for need at all. Free agency is the place to fix holes in the roster. Teams should be drafting for future development, not for 2015 starters. If the Eagles are looking for a starting CB at pick 20, then 2015 is not going to be the kind of season I want it to be. The draft is far too unpredictable to rely on it, especially that late in the first round. You have no idea who will be available, or how any draft pick will adapt to the highest level of competition. He’s got a lot more to say and tons of great examples. Check it out, then dive into the draft madness. Feature montage photos by Keith Allison and the Eagles team, at philadelphiaeagles.com, by permission.